2.EASY TO ORGANIZE:The preschool backpack features easy to open and close zipper tags, a main zippered pocket, two side pocket for water and mike, top loops for storage and other carrying options It’s the most efficient and playfully designed collection around.Smooth SBS zippers for the little kids to open and close easily.Top loops for storage or other carrying options. The Vaschy preschool Toddler Backpack provides a way for kids to proudly take responsibility for their favorite toys, blankets or books. 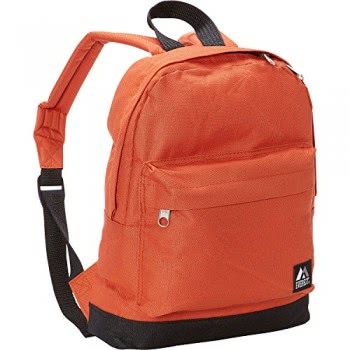 Made of a durable polyester, this toddler backpack features cute easy to open and close zipper tags, a main zippered pocket, two side pockets for water and mike, top loops for storage and other carrying options and a easy-access front pocket that can easily carry a child’s belongings for preschool or play dates . The adjustable padded shoulder straps offer support and comfort while the adjustable chest strap stabilizes the load throughout the day’s activities. The bag measures 11-inches by 4.3-inches by 14.6-inches and weighs 0.35KG. 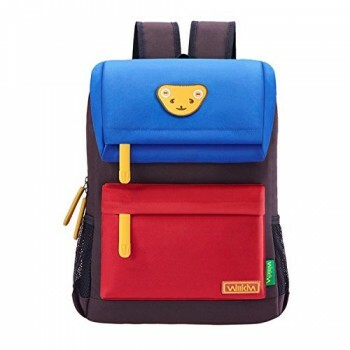 The Vaschy Preschool Toddler Backpack is recommended for children 2-years and up and comes with a warranty against any manufacturing defects at the time of purchase. 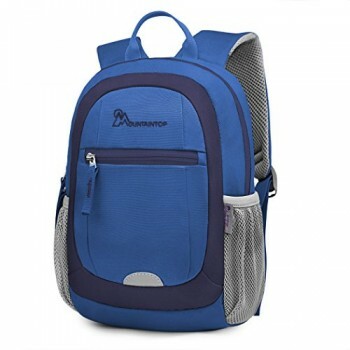 4.LIGHTWEIGHT:The preschoolder backpack is made of durable water-resistant polyester which is lightweight and easy to clean.The child-size backpack is perfect for toddlers going to preschool or play dates.The adjustable padded shoulder straps offer support and comfort while the adjustable chest strap stabilizes the load throughout the day’s activities.